The value of a classic car depends on its originality first, and then only on its condition. Hence, a cracked original leather seat is better than a perfectly reupholstered one. Classic car maintenance is thus a twofold process. Keeping our favorite vehicle going, and preserving it for prosperity. If we do end up replacing parts, we should keep the old ones in case the next owner wants to restore them. We can keep an old car going longer simply by using it. If we do not, it gets ‘arthritic’ and the sidewalls of the tires collapse. Autos are like people, they need exercise too. If a car has been standing for more than a few months, replace the engine and brake fluids before firing it up, just in case they lost their viscosity. Never hammer an old car by squeezing the maximum out. It never had modern handling and performance, and certainly does not now. So drive her gently, giving lesser mortals time to stop, admire her, and go green with envy. Treat her well, and she will reward you with rare pleasure. Classic car maintenance is an art. Your biggest threat is corrosion, because the ‘tin worm’ eats through metal eventually unless we protect the surface. Apply touch-up paint over rust converter wherever you see the metal shining through. Never use a mechanical car wash or a high-pressure hose. Just bathe her gently with warm, soapy car wax and a sponge, and dry. Watch out for muck accumulating in the wheel wells, doorframes, and on the underbody. This can contain salt and other chemicals that can corrode exposed metal surprisingly quickly. 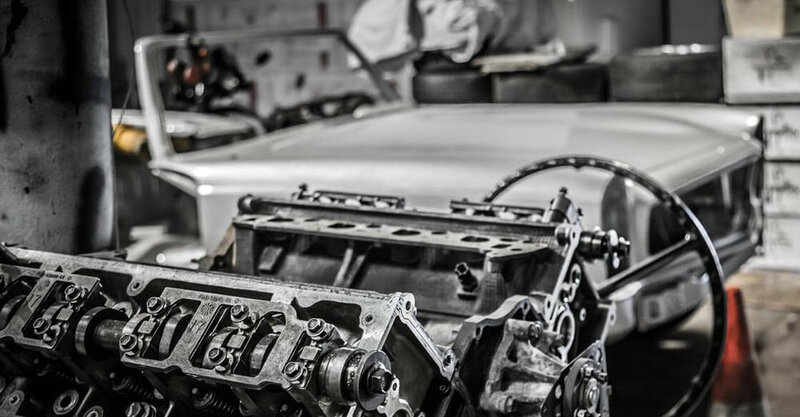 As you go through your weekly classic car maintenance routine, keep a sharp eye out for anything working loose. No mechanic will be half as caring as the owner. The big challenge with classic car maintenance is the vehicle is past its ‘use by date’, and still going long after the original salesperson hoped. An original interior can add huge value compared to a modified one that is looking shot. The dashboard and seats are the most precious items, so keep sharp objects far away. Never leave an old car parked outside, even for a day, and not in a cold, damp garage either. Commit to using it at least twice a month, or jack it up and rest it on stands or wooden blocks. There is no middle ground here. Either you use your classic car, or you store it carefully. A classic car deserves regular use. This is the best form of classic car maintenance although the other things we mentioned really matter. If you do not have the time, then consider renting it out for weddings and other special occasions. A good broker could source the clients, supply a chauffeur, and make sure they know how to drive classic cars.